make our world a better place to live. 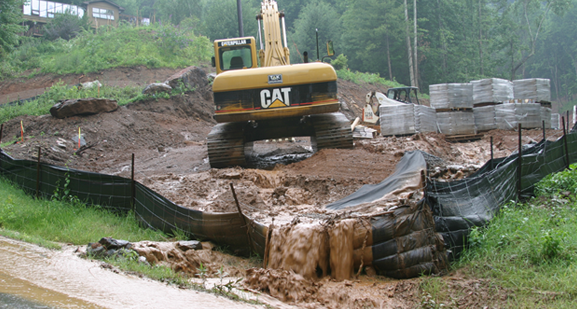 Sediment is the number one pollutant in most waterways around the country. It clogs fish gills, destroys habitat, increases the cost of water treatment and delivers harmful pollutants such as heavy metals, toxic chemicals and E. coli to our waterways. The Muddy Water Watch program was created by Waterkeepers around the country as a way to monitor and protect their waterways from harmful pollution. This project will train volunteers on how to recognize best management practices to keep sediment out of our waterways, how to report and to follow up, so our waterways can finally meet the goals of the Clean Water Act to be fishable and swimmable. 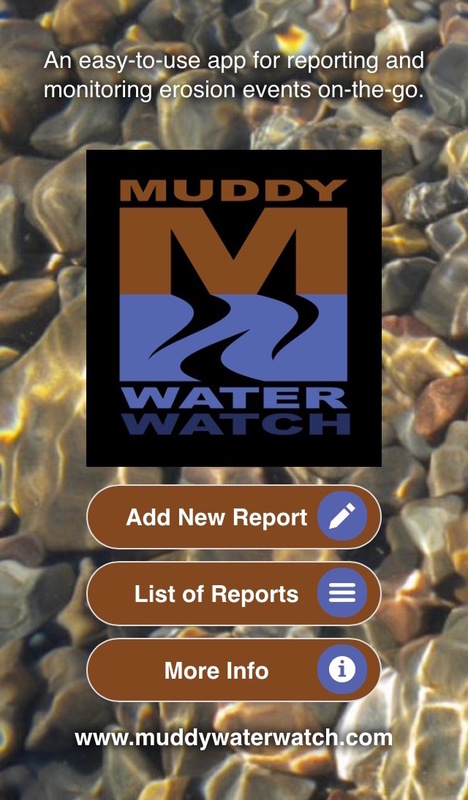 If you would like to become an important part of the effort to make this world a better, healthier, more beautiful place to live, you can report erosion incidents on-the-go by downloading our free easy-to-use mobile app, " Muddy Water Watch ". To follow up on a report you have created with the mobile app, search for your assigned report number in the Muddy Water Watch mobile app's List of Reports or on this website on the Incident Reports page. Use the following training resources to better understand how the clean water act, state laws, and local regulations impact and protect our waterways. The links below will also give you a detailed outline for the regulatory contacts that can address the issues you may run across as you help to protect our waterways.